Living Fellowship examines the true meaning of biblical koinonia as a dynamic relationship between God, ourselves and others. True fellowship will involve submission, service, and suffering. Taking each theme in turn, Helen Roseveare draws on the teaching of Scripture and personal experience to show the practical outworking of God's invitation to us to share in a relationship with Him. The author is an internationally respected speaker with WEC ministries. Living Fellowship by Helen Roseveare was published by Christian Focus Publications in May 2008 and is our 25873rd best seller. 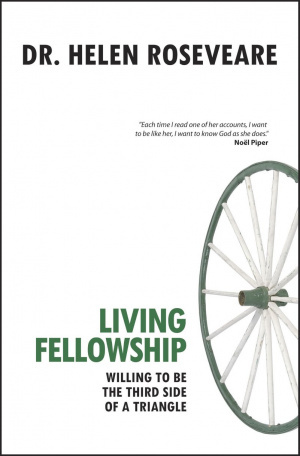 The ISBN for Living Fellowship is 9781845503512. Be the first to review Living Fellowship! Got a question? No problem! Just click here to ask us about Living Fellowship.